Mangaluru, Mar 16, 2015 : MCC - Mangalore City Corporation which is making efforts to brighten lighting on city streets now has plans to substitute sodium vapour lights with brighter LED lights. Efforts of the MCC at Mukka, Hosabettu, Kuntikana and other areas, could auger well for better efficiency and economy of street lights soon. LED lights lasts longer and can also prove economical on power usage. It is reported, a plan to install around 1,300 LED bulbs (65 Watt to 150 Watt) and save at least 2300 units of electricity is on the anvil. Average, 69,000 units of energy will be saved every month, saving 8,28,780 units of electricity in a year. The saving works out to about Rs 41,43,940 for Mangaluru city. As an experiment, LED lights were installed from Navabharath Circle to KS Rao Road and being extended now. Instead of 250 Watt SV lamps and Metal-halide lamps, 72 watt LED lights have been installed on the divider from Kottara Chowki Junction to Pumpwell Road. 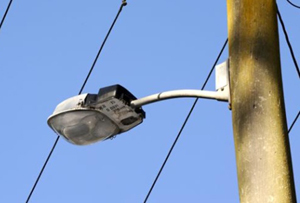 Out of Rs 100 crore special grant from government, Rs 73.65 lakh is being utilised for replacing bulbs of streetlights. The MCC has approved electrification and to install LED lamps on the divider of National Highway from Kuloor-Kuntikana (Rs 50 lakh), installing LED lamps between Kuntikana and Nanthoor (Rs 65 lakh), installing GI electric poles and LED lamps on Kaikamba-Maroli Road (Rs 30 lakh), LED lamps on the divider of the road from Padil to Railway bridge (Rs 18 lakh), Vyasarao Road-Kadri Kambla bridge-Kadri temple (Rs 35 lakh), Ekkur to HB Colony in Sadashivanagara (Rs nine lakh) and Kankanady to Marnamikatte (Rs 18 lakh). The city is expected to brighten up at nights. Also, Rs 18 lakh has been earmarked for installing LED lamps from Mukka to NITK on NH and Rs 32 lakh for laying LED lamps on the divider of the National Highway from Hosabettu Junction to Bykampady under the grant. Solar traffic signals will be installed at Ambedkar Junction, Hampankatta, Karavali Circle, Lalbagh Junction, Bunts Hostel Circle and PVS Junction at an estimated cost of Rs 47.39 lakh. Hopefully the work will consistently be executed.